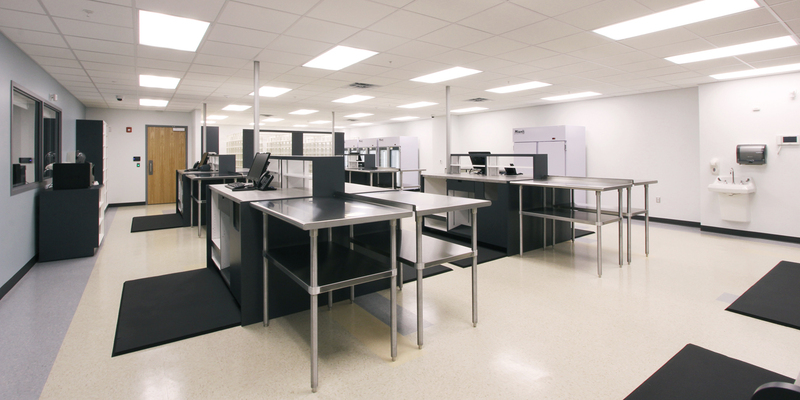 As the General Contractor, MBM completed the renovation of the specialty pharmacy and laboratory. These were two separate construction projects that occurred at the same time each totaling about 9,800 SF. 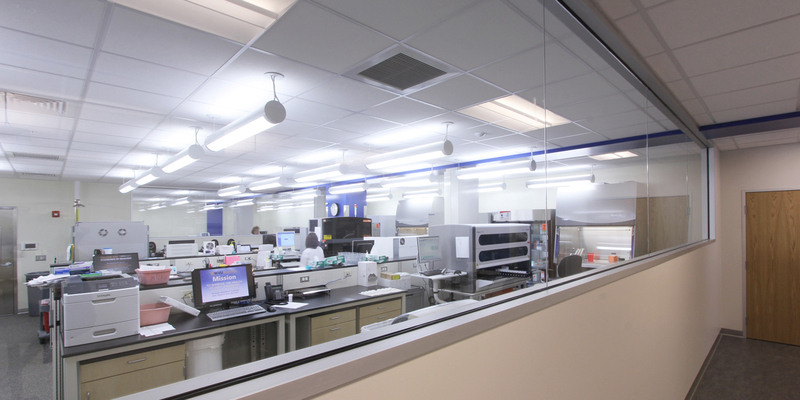 The specialty pharmacy project included exam rooms, a small storage warehouse, mixing rooms, two clean rooms and a conference room. 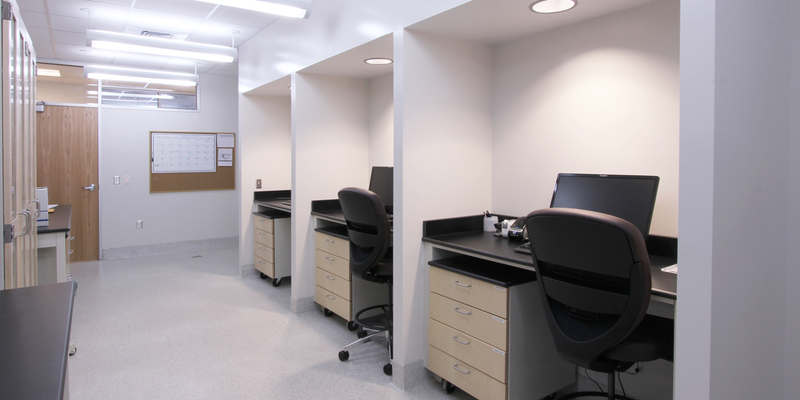 The clean rooms provide a sterile environment for drug handling. 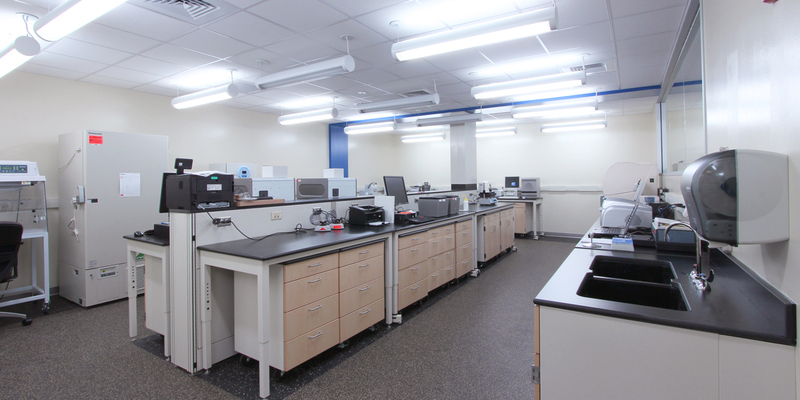 The lab project included a concealed garage, three-unit cooler, two autopsy rooms, an in-floor scale, brand new lab equipment, air handling units and a new generator.